A development application has been lodged by Morris Property Group and Amalgamated Property Group to demolish the current Suncorp Plaza commercial tower and replace it with a new 30 storey commercial tower. 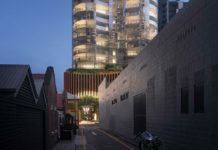 Under the proposal, 49,684 sqm of premium grade office space and ground floor retail is planned for 343 Albert Street as well as potential for conference and childcare facilities. At 118 metres high, or 26 levels above ground, the Suncorp Plaza building, formerly known as the SGIO building was completed in 1971. At the time of opening it was Brisbane’s tallest tower and featured a rotating restaurant which eventually was replaced with a 10 metre rooftop digital clock which remains to this day as Australia’s highest clock. 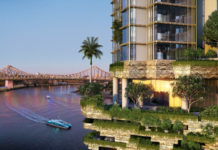 If approved, the Suncorp Plaza building will be Australia’s third tallest tower demolition behind Sydney’s State Office Block (128m) and CAGA House (125m). Addition of 3 short-term stay and drop-off parking spaces along Albert Street. The development application number for this project is A004722828. 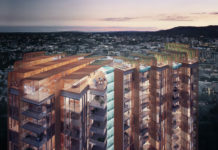 Although the location and transport of the site is excellent, the design generally shows a severe lack of effort at fulfilling the Brisbane City Council's Building's that Breathe design guidelines with virtually no breakout spaces for office users or rooftop utilisation. Street activation along Albert Street is also poor, essentially walling off the space.